Fasten your seat-belts, kiddies, coz uncle Jason is going to take you on a ride to Truth Town: Population – You and Me! Here’s the truth about blogging! What IS Blogging & Why Do So Many People Do It? 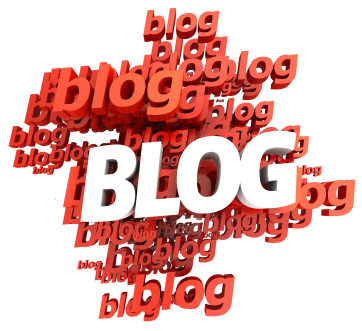 Blogging is seen by many as keeping an online journal that everyone can read. In a nutshell, that’s basically what it is. However, it goes a bit deeper than that. If you know me, you know I’m into blogging although, it wasn’t always because I liked it. Truth is, up until recently, I always hated blogging! “What’s the point?” I thought. I joined a blogging platform that many of you may be familiar with called Empower Network back in June of 2012. It was the first time I started to look at blogging seriously. Here’s what BLOGGING is: Blogging is a method of content creation with the purpose of reaching an audience with a need or with shared interests that you can deliver or entertain. So if someone is looking up how to clean a hairball from the family couch for example, what is that person going to do? They’re getting on Google and looking up, “HOW TO CLEAN A HAIRBALL FROM A COUCH”. Now, there’s literally millions of websites that may show up in that person’s search results, and more than half of them are articles from BLOGS. A blog is typically informal, usually from a regular guy or gal who knows what they’re talking about and because of that, they become more trust worthy. For instance, I know I can trust one blogger’s opinion on how to clean a hairball from a couch than from a company website like “HAIRBALL-BE-GONE” (note: not a real company) who says their product is the ONLY way to completely remove a hairball. See what I mean? Bloggers have way more credibility on the internet, which is why so many people get into blogging, because the audience they can attract is vast! Can You Really Make Money By Blogging? To cut the fat and just answer the question: YES. Related: How To Blog DAILY And Enjoy It! You Need Build Momentum – No one starts off making money right out the gate. You can’t think that from Day 1, you’ll make a little money from one blog post and slowly make more and more with every new article. You need to understand this isn’t a job where you get paid by time like any other job. If blogging is your business, you’ll need to sacrifice and put in your time to build a reputation. Find Your Audience – As you blog, think about who you are writing for. You need to understand that as a blogger, you’re solving a problem someone has, so you need to identify who is it you’re writing for and cater to them. Best way to find your audience is by doing some research on other blogs and read through the comments to see how people react. Blog DAILY – Consistency is one of the key reasons why bloggers start making money. Good news is, with consistency, it won’t take too much time before you start seeing some money coming in. The reason why being consistent is so important is because the biggest way someone is going to find you is through a search engine. Search engines index websites that have content created on a regular basis, so if you’re not consistent, you’ll be at the bottom of the search results. Make Friends With Other Bloggers – If you want to make money, understand this principle: It’s not all about you! Find other blogs in your niche and be a regular subscriber to their blogs. Comment on their blog articles and engage with them. This is a good chance to share your message and in turn, you’ll build your own readership. Become An Affiliate – Get an account with Google Adsense and post their banner on your site. Do the same with affiliate products like Amazon, Clickbank, and others. When people click those ads and follow through, you get a small chunk of change. Not too impressive, huh? Well, if you follow my previous tips, you will build a large enough audience and that small chunk of change can turn to a good amount of moola. If you sell affiliate products, many of them pay out pretty well too. With Empower Network, you can make anywhere from $25 for the first product, or $3,500 for another product! So How Can You Be Successful By Blogging Again? You can write about anything you’d like, but remember that you’re writing FOR someone, not just for yourself. Whatever it is you blog about, it has to solve a problem for someone, so that needs to stand out in the TITLE of your article most of all. Also, don’t underestimate how effective tags or keywords are. Tags are what search engines use to classify your content. If you can make a full time income from home, waking up whenever you like and going out anywhere you like… and the only thing you gotta do is write one article per day… wouldn’t that be a really GOOD trade off? Empower Network: CLICK HERE This is a viral blogging platform that offers more than just a blog. For $25 per month you get a blog site already made and maxed out with the right plugins and the goodies you need. Remember that one of the ways to make money is by selling affiliate products, so IF you want to be an affiliate of Empower Network, they have that too at additional cost. Their products includes training on how to be a better affiliate marketer so buying these products yourself will help you learn at the same time that you’re selling them. Basically, it’s all inclusive to get you started. Also, I’m offering special deals to get you traffic sent to your blog on Empower Network right away. If you’d like more info on that, Email Me. Self Hosted Blog: CLICK HERE If you prefer just having your own hosted blog with your own website domain (www.YOURDOMAIN.com), you can do that as well! The only problem here is in order to do this, you will need some knowledge on how to set up an account on a server and set up your domain, then install your blogging software. This is why Empower Network is a nice option, but if you’re set on having your own self-hosted blog, I can set it up for you for free! If you want your own blog set up for free, CLICK HERE to register your host and domain, then send me an email with your receipt. Related: Are You Interested In Being A Work-From-Home Mommy Or Daddy? The Blogging Rapper Raps! Episodes 1,2 and 3 What Exactly Is SEO Anyway? many are looking for . I know until we met I had no idea what a blogger even did. But thanks to your guidance I am now making money online. pleasure being in business with you. Thank you so much for your comment, Dixie! I’m so honored to be able to watch you grow more and more over time into the independent and successful individual you are! You’re FREE to live as you want and that’s so inspiring! God bless ya! 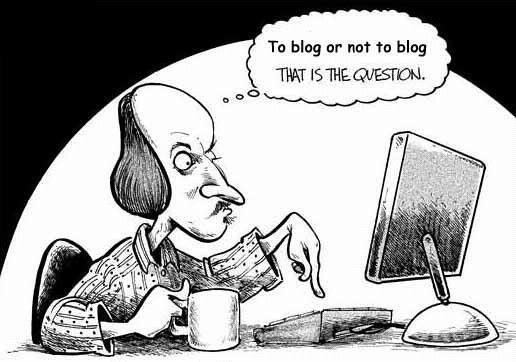 The Truth about Blogging! Now that got my attention Jason. I like the honesty in which you delivered this post. The 5 points you make sense and what you said about being consistent is so true in most things we do in life and I liked the way you applied that to blogging.